Modern kitchens are popular for their luxurious and sleek look. They should be convenient, spacious and calming. Modern style comes from between the 1920s and 1950s and is different from contemporary style. This period of time is called “Mid Century Modern”. Modern kitchens are simplistic and minimalistic and use mostly neutral colors. Contemporary style, however, represents the present time period and it changes depending on trends. The most popular colors in modern kitchens are white, grey and black. Black countertops are a great contrast with white cabinets or can make a good finish on natural wood. You may also consider using dark wood which will add a more classy look. Grey walls may seem grim and unpleasant but in reality look very calming and subtle. 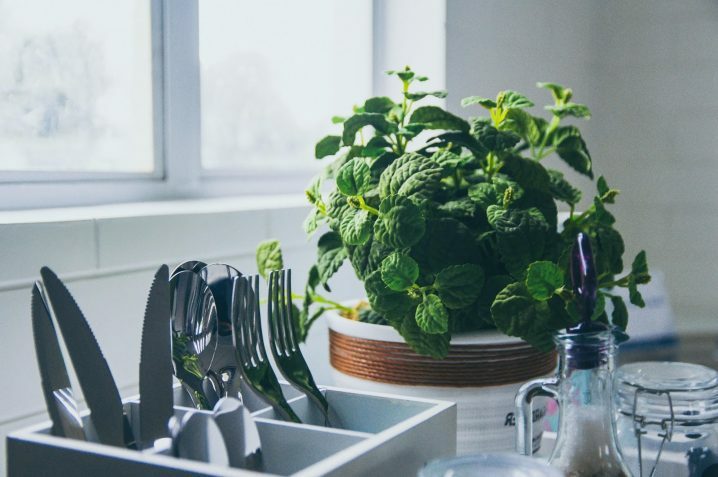 To add more brightness and color, you can place some flowers in a vase, put colorful dishes or some kitchen appliances, like a coffee machine on shelves. There are many ways to play with colors and you can create a kitchen with an industrial look or rustic accents, depending on how you use them. Quartz is a very popular choice for countertops. Many people also like to use granite and marble but they require more maintenance, therefore, quartz is often chosen over them. Their sleek surface will add a luxurious look to your kitchen. 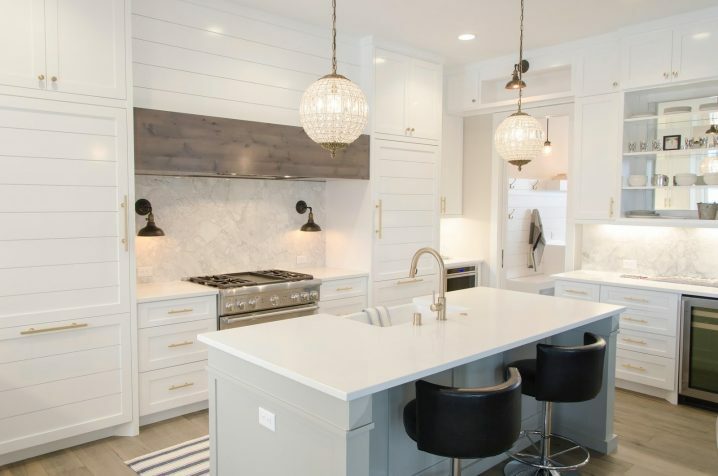 Backsplashes were usually installed to keep the kitchen clean but in the modern kitchen they are used as a part of the design and have decorative functions. 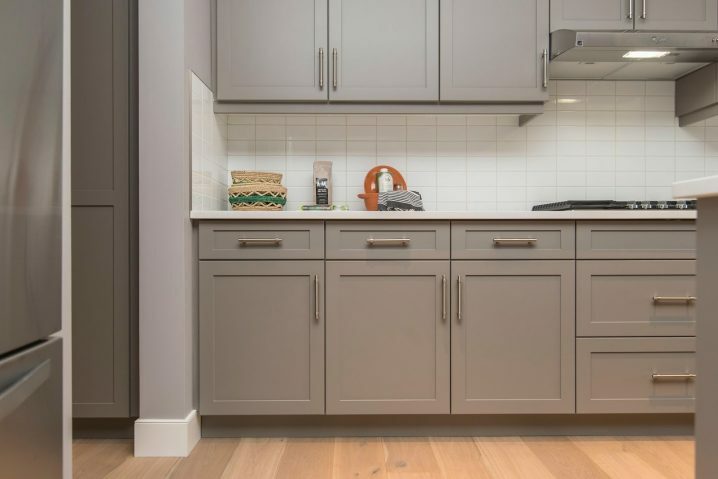 Homeowners often choose metallic or glass tiles, ceramic mosaics or custom patterns to add contrast between them and neutral colors of the kitchen. Modern kitchens are spacious and full of light, therefore, you should think about large windows and proper lighting. Big windows make the kitchen look more spacious and let plenty of natural light inside. There are many companies that can make windows, especially for your kitchen. Consider bespoke sash windows since they are the most popular kind of windows. If you’re not a fan of them, you can also choose casement windows. When it comes to artificial light, ceiling lights in matching neutral colors will look great and add more style to the kitchen. Under the cabinet lighting is also very practical. A polished concrete floor is getting more popular in recent years although, hardwood flooring and ceramic tiles are still chosen among homeowners. They add more domestic and homey feeling and look modern at the same time. Modern furniture is essential in modern kitchens so you want your cabinets in this style as well. Storage is very important and most people want easy access to food to prepare a meal quickly. Most popular options are deep drawers, full extension drawers, tray storage cabinets, and rubbish pull-out cabinets. They’re all very practical and simple to use. Instead of wall cabinets, modern kitchens use open shelves where you can display your colorful dishes. Islands are also very useful and are an essential element. They’re great to have a quick coffee or lunch. You can add stools in brighter colors to add more contrast to the neutral colors of cabinets. If you want a spacious and minimalistic design, the modern kitchen is just for you. Its neutral colors and calming environment are convincing even for fans of traditional kitchens. You have many options to choose from and you’ll definitely find something for yourself.